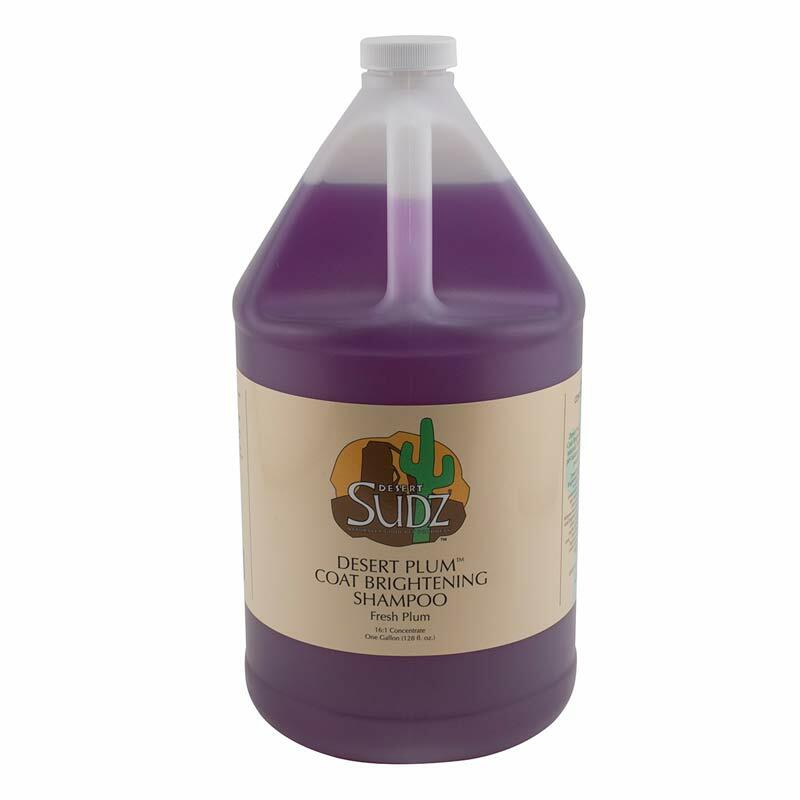 Desert Sudz Desert Plum Coat Brightening Shampoo is formulated to whiten and brighten with a combination of botanicals, extracts and essential oils. Rosemary Leaf Extract and Vitamin C naturally remove impurities and help to cleanse and brighten the coat. Blueberry Leaf Extract and Vitamin C naturally remove impurities and help to cleanse and brighten the coat. Desert Plum has a fresh plum fragrance and will leave all coat colors at their best and brightest. Safe for use on dogs, cats, puppies and kittens.